When a person looks at you, what do they see? Your clothes, your face, and your hair. The look of your hair breaks down into a couple of different parts. We all visit the hair stylists to cut our hair and get the desired look. There is no rocket science in hair cutting, but still, when we visit a branded salon, it pinches our pocket too hard. How about cutting your hair just like your stylist at home? 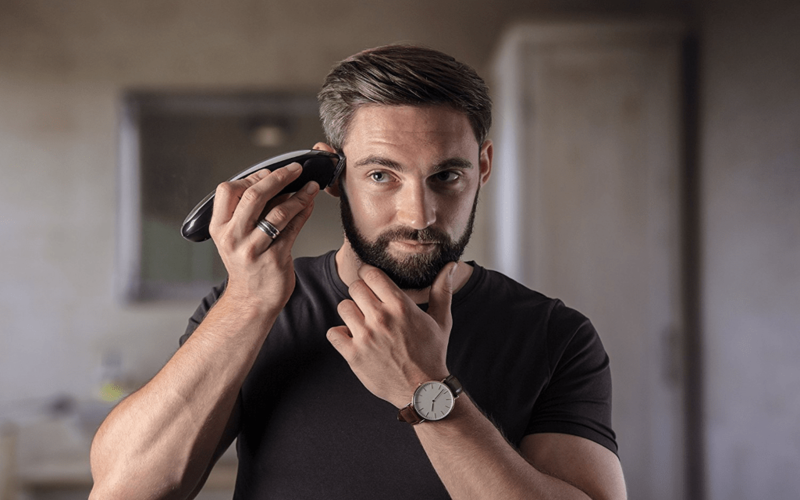 In this post, we are going to discuss hair clippers that can definitely give you an amazing haircut and that too without making holes in your pocket. Usually, hair clippers come with numerous attachments that enable individuals to cut their hair in various sizes. Some clipper sets have more options in comparison to others. Before making the purchase, it is essential that you check out all the available options. Most of the time, the sizes generally range from one to eight. Using the biggest size would give you a hair length of around one inch long. If you use the sizes available below 4, you can get a haircut that will expose your scalp. So, keep this in mind and select the size you want. If you are purchasing it for the first time, you can definitely purchase the one with fewer options so that you don’t get confused. It is advisable to go for size 8 in the first use. How to use the clipper for a perfect haircut? It is necessary that you wash your hair and make them dry before you start using the clipper. If the hair remains wet, the clipper will slip. Moreover, it will make the clipper exposed to rust over the time. Even if your hair is slightly wet,still it is better to use the hairdryer before starting with the process. You can go through the instruction manual to understand how to handle the blades properly as well as hold the clipper and use it against the direction of the hair growth. Use the clippers slowly, especially if you are using in for the first time in order to avoid any kind of injury. If you use it in a fast pace, it is quite possible that it gets a tug on the hair, thus injuring the scalp. Hair trimming is necessary after cutting the hair to ensure a neat and clean look. The attachment should be removed from the clipper before you start with the trimming process. Trimming the edges is a little difficult task, and you need to be quite cautious in order to avoid injuries. You can check out some of the best trimmers here https://www.hairclippersclub.com/best-hair-clippers/. How to maintain the clippers? Maintaining the hair clipper is something which is very important. Most of the time people don’t follow the instructions and end up with infections and scalp diseases. It is always advisable to disinfect the clipper as well as the blades after each use to protect against the growth of bacteria. Alcohol can be used to disinfect the grooming set because it can easily neutralize as well as kill the microorganisms, which may lodge in the teeth of the clippers. After applying alcohol, it is better if you can also apply a thin coating of oil which will help to keep the blades lubricated, thus protecting them from rust. The most of the men in America use hair clippers for hair cut in less time consuming. This is worth keeping in mind because you want your hairstyle to be proportional with the rest of your body. To know about the different types of clippers available as well as the branded clippers from well-known brands, you can keep following us! And that’s all are depends upon, your hair texture, color, and thickness , and know what you want your haircut to say about you. Then pick a style that suits your taste and maintain your hair clipper.